I've yet to settle into Toronto living, and it makes me a bit anxious. Especially right now, when I know my garden at my family home is producing beets and carrots, and there are apples waiting to be picked from our tree. Also, my mom tells me the cottage is beautiful this time of year. 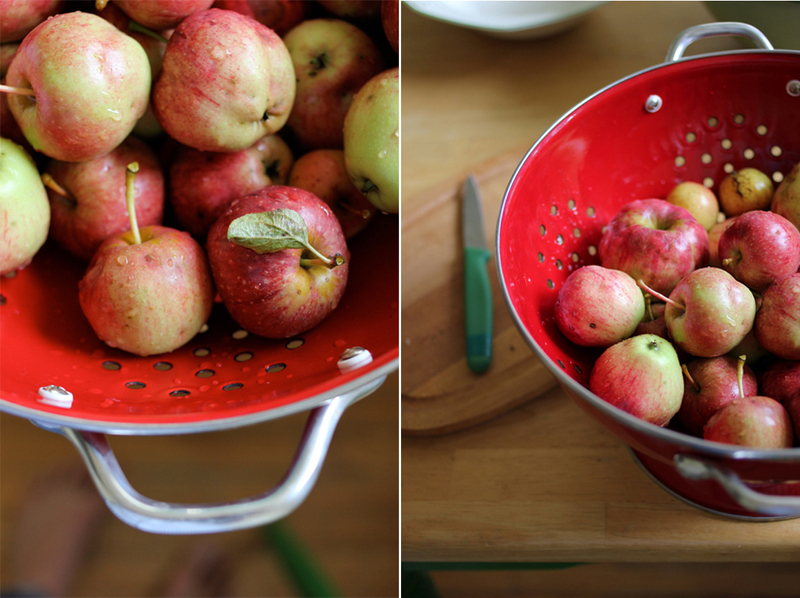 I was pretty happy this weekend, however, when James and I found an apple tree tucked away in the bush at a public park and got to do a little urban foraging. I decided to make a crumble out of the apples, as they weren't suited for much else. 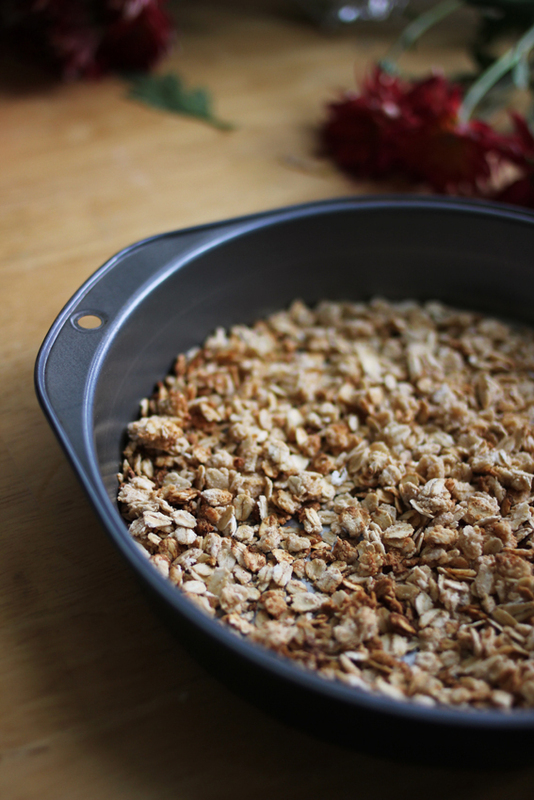 I used this recipe, which is my favourite crumble topping recipe, ever. This time, I used frozen blueberries instead of cranberries, and no cornstarch. 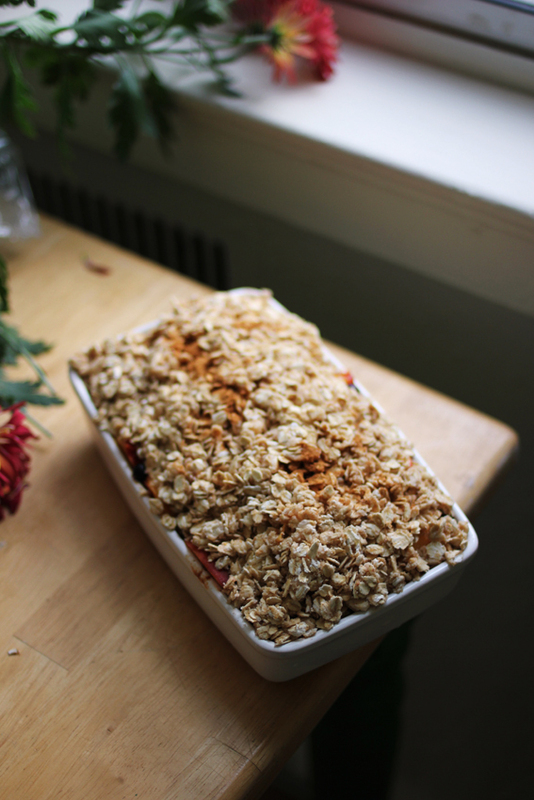 The apples were quite small, and so was our dish, so I halved the amount of crumble topping. There was still some topping left over, so I toasted it in the oven, intending to use it as a morning cereal. It's insanely delicious, however, so we ended up eating most of it while we waited for the crumble. YUMMMM my favourite--looks delicious. Bring to me?